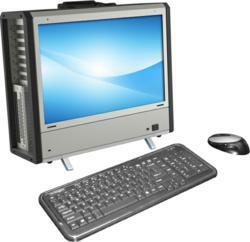 NextComputing announces the addition of the Intel® Xeon® E5-2600 processor product family to its line portable workstations, compact towers, and high-density rack-mount computers. We are very excited to be able to offer Intel’s latest enterprise-class Xeon E5-2600 processor family to our customers who are eagerly awaiting its arrival. 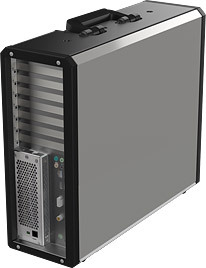 NextComputing, a leading manufacturer of portable and small footprint workstations and servers, announces the addition of the Intel® Xeon® E5-2600 processor product family to its line portable workstations, compact towers, and high-density rack-mount computers. Intel Xeon E5-2600 processors offer up to eight (8) processor cores per CPU, plus leading edge features like PCI Express 3.0. With support for up to two of these processors (16 cores), and multiple PCI Express slots, NextComputing has delivered the industry’s highest performance computing platforms in the most compact form-factors available. The Intel Xeon processor E5-2600 product family is based on Intel’s 32nm architecture, and represents the first time this architecture is available in high-end, dual-processor workstations and servers. These newest processors not only increase the maximum CPU core count to 8 per CPU, but also expand connectivity for high-speed I/O devices by providing 40 lanes of PCI Express 3.0 directly off the processor. The processors also feature four (4) DDR3 memory channels per processor, offering even better performance than previous generation systems for high-bandwidth applications. NextComputing’s high-performance computers are designed for demanding power users that require the fastest processing available in the smallest systems possible. Applications for these systems include network monitoring, packet capture, military intelligence, cyber security, live broadcast, visual effects, post production, and oil and gas exploration. To meet these challenges, NextComputing offers the Intel Xeon processor E5-2600 product family in several unique form-factors suited for any computing environment. For more information or pricing on NextComputing products featuring the Intel Xeon processor E5-2600 product family, please contact sales(at)nextcomputing(dot)com or call +1.603.886.3874. Based in Nashua, NH, NextComputing is a unique technology company specializing in extreme-performance portables and small form-factor workstations. Its open-standards, modular systems are used throughout many industries for a range of professional applications including real-time 3D visualization, high-throughput data streaming, and high-end application demonstration. Visit http://www.nextcomputing.com for more information.